With the incoming Under-Secretary-General for Political Affairs of the United Nations, Rosemary DiCarlo, the outgoing United Nations (UN) Under-Secretary-General for Political Affairs, Jeffrey Feltman stated the concerns on the continually growing number of countries who are withdrawing support the UN. 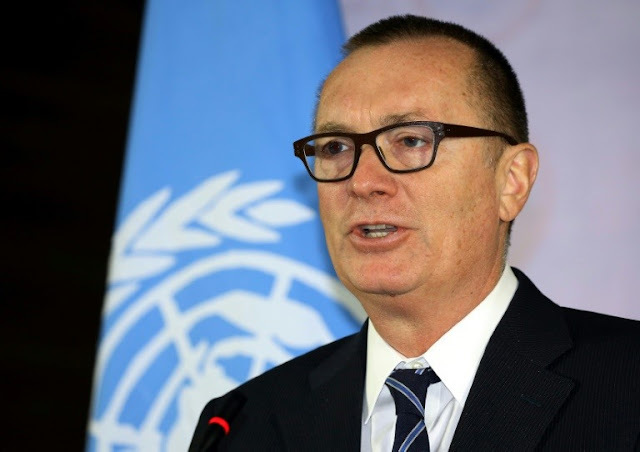 Feltman stated that the questioning on the value of the UN by multiple world leaders was an important point of concern. “I do leave here concerned about making sure that we maintain in addition to the excellent leadership we have… that we maintain member-state support,” he said. These remarks were actually directed at United States President Donald Trump who actually was cutting the funding for the UN after the skepticism that the newly appointed security adviser, John Bolton expressed. “We need to show that we can be effective,” this is the only thing that Feltman can state since this is the only thing that the UN can do. The war in Syria which saw no diplomatic development resulted in 350,000 deaths. On another note, regarding the situation in North Korea, The UN sees it as the highest-level UN visit in six years. Feltman was dispatched by UN Secretary-General Antonio Guterres to North Korea in order to push dialogues on the fear of nuclear war. “The issues are extremely complicated,” Feltman stated. But meetings between the North and Korean Leaders, and Trump and Kim Jong Un is expected to ease up the tension within the region.